Summer is here — and South Florida’s summer heat must be respected. 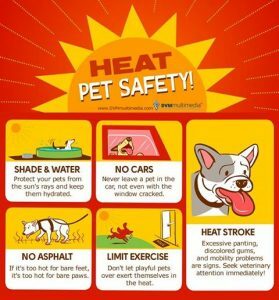 With the hot temperatures, pet owners and parents are reminded that children and pets cannot be left outside or in hot cars for too long. The enclosed space of a vehicle in the sun (even with the windows cracked open) can quickly become unbearable.The Centers for Disease Control and Prevention states that the temperture in a car can rise 20 degrees within 10 minutes. So if it’s 80 degrees outside the temp inside a car could be at 100 degrees within 10 minutes. That can cause a heat stroke and prove fatal. Every summer, the news is replete with heartbreaking stories of children and pets succumbing to the heat. The CDC reports that heat-related illness happens when the body’s temperature control system is overloaded. Children under age four are at greatest risk. Move the person to a cooler place and help lower the person’s body temperature with cool cloths or a cool bath, the CDC says. If a person is suffering from heat stroke, do not give them anything to drink. If they are suffering from heat exhaustion, they should sip water. 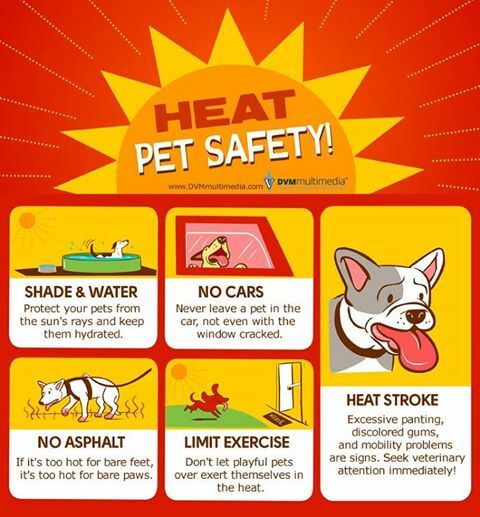 Symptoms of heat stroke for pets include excessive panting, discolored gums and mobility problems. Pet owners should seek veterinary attention immediately should their pet suffer from these symptoms. It’s easy to become distracted when busy — put your phone away until you get from one destination to the next after dropping off your child. 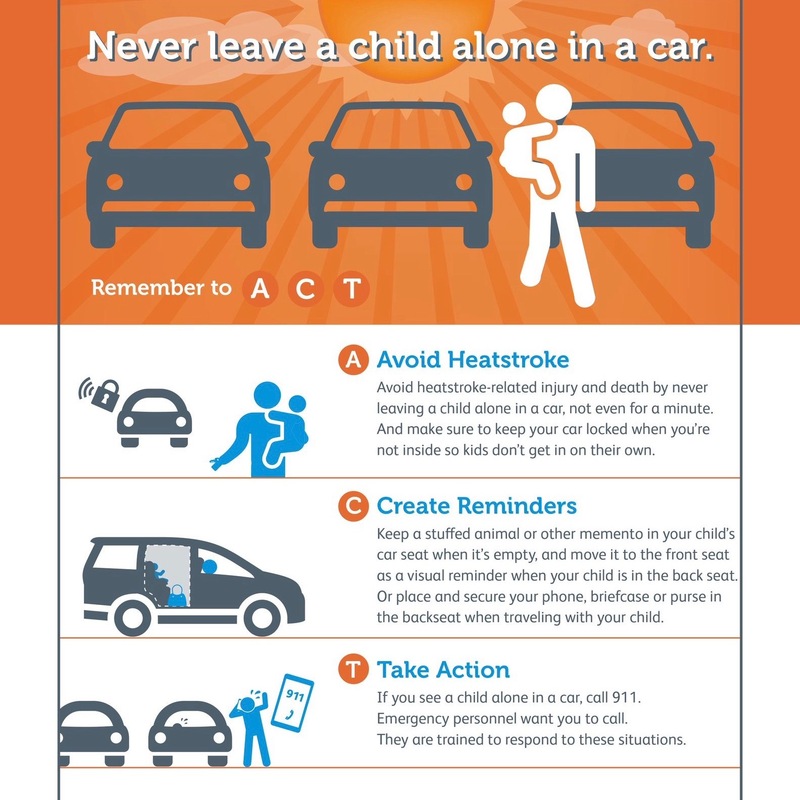 Make it a habit to look in the back seat regardless if you transport your child that day or not. Schedules change and so do routines. Use a stuffed animal as a reminder, put it in the car seat and when you have a child in the car seat put the stuff animal in the front with you. Put your purse or brief case in the back seat next to your child. 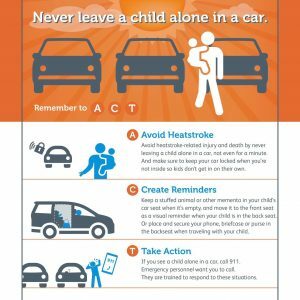 Never leave children or pets in the car even if you’re running in the store for a few seconds. It’s just not worth the convenience it may seem to be.